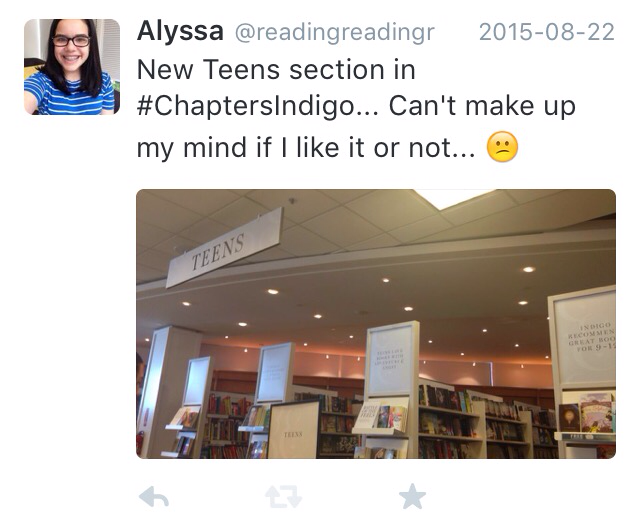 Last week, I posted “Tweets While at the Library”, and since most of you liked it, I thought I would do the same one but in a bookstore! 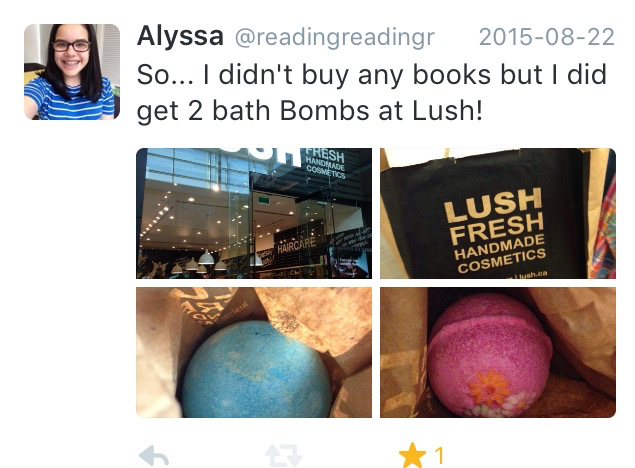 I hope that you guys enjoyed this post! 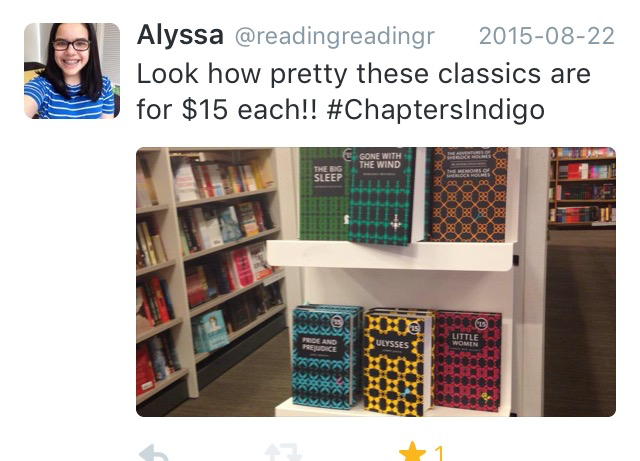 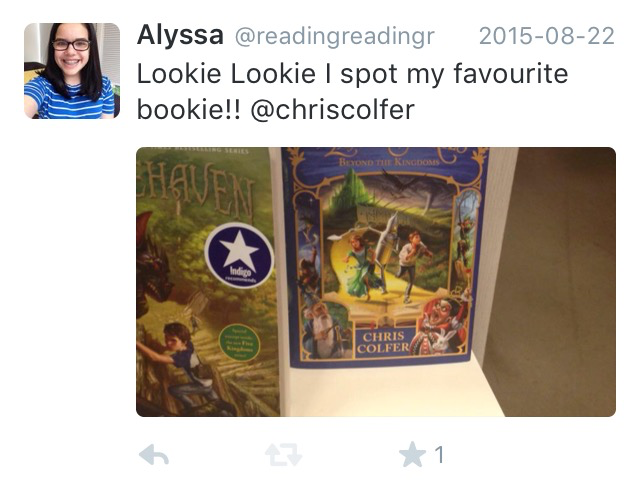 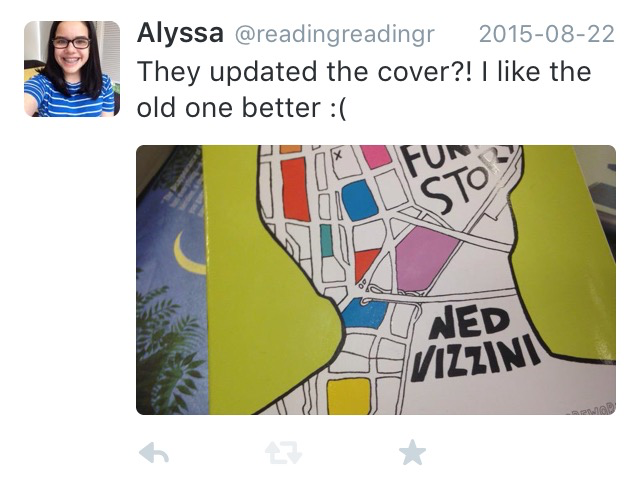 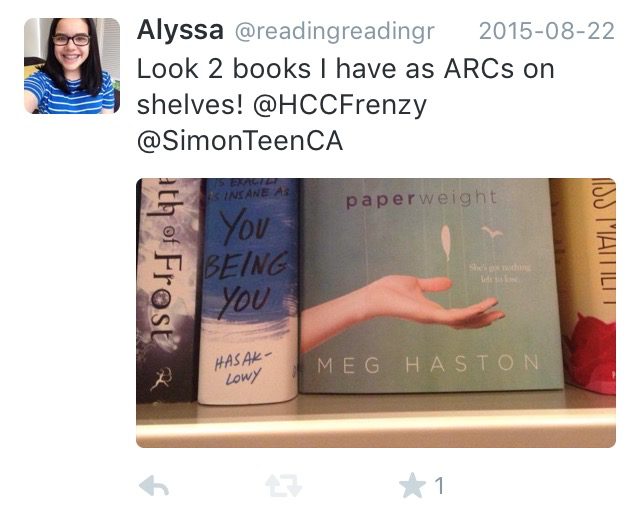 Don’t forget to follow me on Twitter for sneak peaks on posts like this one: @readingreadingr!